As he continues to establish himself as a fundamental figure at Man Utd, Jose Mourinho has insisted that he hopes David De Gea signs a new contract soon. The 27-year-old has made 319 appearances in all competitions since arriving at Old Trafford in 2011, and has undoubtedly emerged as one of the top goalkeepers in Europe with his consistent form which has been key to the trophy haul he’s been part of. In turn, the Red Devils will be desperate to keep their best players, and as per The Sun, Mourinho is hopeful that De Gea will commit his future to the club sooner rather than later, albeit a possible obstacle could be the fact that it’s claimed he’s demanding up to a whopping £350,000-a-week to sign. The Spaniard’s current deal runs until next summer, and so it will undoubtedly become a matter of urgency for Man Utd to see him pen new terms as they will certainly not want to lose him for nothing at the end of the season if no new agreement is reached. Nevertheless, given the quality, reliability and class that he brings to the team, it will undoubtedly be about more than merely protecting their financial position, as De Gea will remain a fundamental part of their plans moving forward and still has a significant part of his career ahead of him. 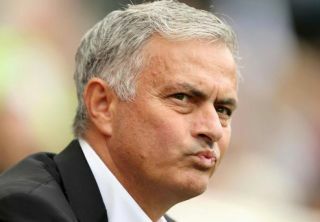 However, time will tell if the two parties can reach an agreement on personal terms, but Mourinho sounds fairly optimistic that there will be a positive outcome in the more immediate future it seems and that will be music to the ears of United fans who will eagerly await further positive updates.